Accidents involving a semi-truck and a car present an obvious mismatch in size, and the results are predictably bad for the occupants of the normal size vehicle, frequently resulting in very serious injury or even death. Lengthy hospitalizations and extended absences from work can factor into such cases, as well as permanent impairment and disfigurement, all of which are a part of the victim’s compensation damages and need to be properly documented and claimed. Where issues of liability arise, the commercial semi-truck’s ‘black box’ may be used to confirm who was at fault, as well as a thorough knowledge of semi-truck safety regulations. Experienced representation is vital in such cases. 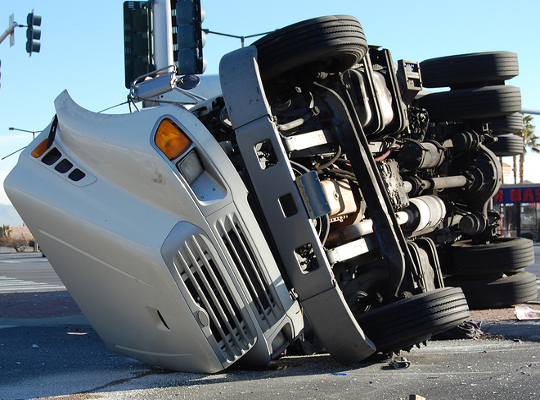 The results of a semi-truck accident can be life altering. Insurance companies assign their most experienced, most ruthless adjusters to such claims because of the high dollar amounts at stake. Do not try to go it alone. Call Alexander J. Smith Law Offices now for your free consultation.